The movie Mary Poppins tells the saga of a magical nanny who taught a stuffy banker's family how to have fun. When she told her charges that she'd have to go away, the children asked her to promise to stay. Mary knew that her staying in their house was not under her control, so she said, "That's a pie crust promise: easily made, easily broken." We've noticed that our politicians lie to us with aplomb and seemingly without remorse. Politicians have always lied, however, so we're more or less used to coping with lies. We're finding, however, that politicians don't always lie when the promise some miraculous outcome; sometimes they're simply wrong. When that happens, we end up paying for a politician's pie-crust promise. It wasn't a lie because the politician believed it at the time, but when it turns out to be wrong, it costs us just as much as if the politician had been lying. When the promise breaks, we're left with the crumbs. When we at Scragged find ourselves in a particularly reflective mood upon hearing a politician promising to right all wrongs and cure all ills, we look back at some spectacularly costly pie crust promises and find our cynicism restored. In 1971, President Nixon declared "war on cancer" and promised that the disease would soon be cured. Billions of taxpayer dollars later, Newsweek wrote a 2008 article "We Fought Cancer.And Cancer Won." ... Cancer is on track to kill 565,650 people in the United States this year-more than 1,500 a day, equivalent to three jumbo jets crashing and killing everyone aboard 365 days a year. It was that portion of the speech that drew the most criticism for a lack of specificity. Similar calls have frustrated presidents since Richard Nixon. The Journal is correct in reminding us of Mr. Nixon's failed promise to cure cancer. As Newsweek noted, cancer remains a major scourge despite billions of dollars worth of taxpayer's money having been poured into the fight. We don't think that President Nixon lied because he declared war on cancer right after the moon landings. Not being a technologist or scientist himself, he was tremendously impressed by the Apollo program and probably believed that American ingenuity could conquer all ills. The Economist special report on biology of June 19, 2010, reminds us of another pie-crust promise relating to cancer and other diseases. On June 26th, 2000, two different groups announced that they'd sequenced the entire human genome. The government put up $3 billion for the effort on the grounds that understanding how human DNA worked would lead to all kids of miracle cures for whatever ails you. To everyone's surprise, there have been few if any advances in medical treatment as a result of this multi-billion dollar effort. The Economist argues that the research will pay off at some point in the future, but so far, the scientists' promise that funding human gene sequencing would result in new medical treatments are giving off a suspicious whiff of pie-crust. Given that Mr. Obama was talking about reducing our use of fossil fuels in his Oval Office speech, the Journal could have reminded us of Mr. Carter's 1979 promises to reduce our energy imports. Mr Carter made this promise roughly a half-trillion federal research dollars ago. Oil imports have gone up ever since Mr. Carter promised that the research efforts he wanted us to fund would reduce our need for foreign oil. Mr. Carter was a technically aware President who'd been an effective naval officer. Having heard his speech, we don't think he was lying when he described fighting our energy shortage as the Moral Equivalent of War (MEOW), but he set an unfortunate precedent. Mr. Obama used similarly militaristic metaphors in calling for a "national mission" to reduce our "addiction to fossil fuels." Neither President has the slightest hope of making this promise actually happen. Unlike Mr. Carter, Mr. Obama is surely aware of the stellar, unbroken record of non-accomplishment of his Department of Energy; for him, ignorance is no refuge. Is he lying when he promises green jobs and energy independence if only we'll let him raise energy taxes? Or is he somehow fooling himself most of all? Mr. Clinton promised that granting PNTR to China would "increase U.S. jobs and reduce our trade deficit," but it didn't work out that way. Our trade deficit with China surged from $83 billion in 2000 to $227 billion in 2009. We've lost more than one-third of all our manufacturing jobs even though our consumption of consumer goods has increased. This job loss doesn't help our government's efforts to put people back to work even though they're willing to spend $14 trillion on various ill-conceived stimulus efforts. Mr. Clinton's promise that we'd profit from doing business with China could hardly have failed more abjectly or spectacularly; a simple tour through Wal-Mart demonstrates the thoroughness of China's victory over Slick Willie's rhetoric. We don't know whether Mr. Clinton was lying or not. He's famous for being able to convince people of anything he believes. Was he lying about trade with China, was he just wrong, or did the Chinese promise to contribute to his future foundation? President Carter's government didn't do very well when it promised to save TV manufacturing jobs by restricting Japanese TV imports, and President Reagan's trade discussion team got taken to the cleaners when negotiating import restrictions on Japanese cars. The Chinese didn't open up their market as they had promised Mr. Clinton and they're getting set to pour their cars into our market as the Japanese and Koreans did before them instead of the other way 'round. 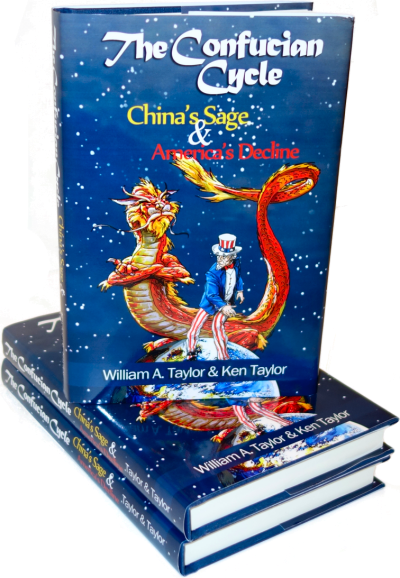 Mr. Clinton was surely aware that we hadn't done all that well in negotiating with the Japanese; why did he think that he'd do any better at negotiating with the Chinese? President Clinton promised us that increased home ownership would stabilize society by giving people a stake in their communities. The Times predicted "significantly more risk" and spoke of "government rescue" which are precisely what happened. We believe that Mr. Clinton was trying to benefit low income people so they'd vote for his party. We don't think he deliberately set out to destroy our economy, but given the way his successor has used the financial crisis to increase the power of government at all levels, we can't be certain of his motives. In any case, this promise of giving homes to people who couldn't afford them stuck us with nearly a half-trillion dollars worth of stale crumbs. Our government doesn't seem to keep promises about researching disease or energy independence and we generally lose out badly whenever they talk about trade. What about promises which only involve money? Can we count on our government to make Social Security payments as promised? Keeping this promise doesn't require any intellectual breakthroughs, new regulations, or the setting up of new government departments. The only condition needed for the government to keep this promise is for government live within its means so that it can afford to make the promised payments. Social Security is one of our government's oldest promises; the only older promises are treaties made with the Indians. This certainly ought to give American oldsters pause when they contemplate the historical value of "the full faith and credit of the United States" and when they ponder how trusting the "Great White Father in Washington" worked out for the Indians. Even though a great many people count on it, everybody knows that Social Security has become vulnerable to financial collapse. Given that our government's promises haven't always been fulfilled, let's see how the earliest promises about Social Security have fared over the decades. If we know how well the original Social Security promises have been carried out, we'll have an idea how well promises will be kept in the future. Note the phrase on the first-generation Social Security card: "FOR SOCIAL SECURITY PURPOSES * NOT FOR IDENTIFICATION." 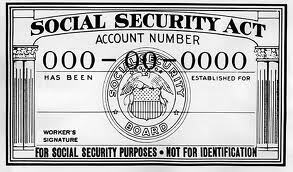 Up until the 1980s, Social Security cards expressly stated that the number and the card were not to be used for identification. That promise has been discarded. Now that the card has achieved status as a sort of national ID, the easily-forged card has become a major convenience for identity thieves and illegal immigrants. Let's look at some other false promises about the system. 1. Participation in Social Security would be completely voluntary. However, the law as passed required participation by everyone. At the time it seemed like such a good deal that nobody much cared, but now the returns are looking dicey and people might rather hang onto their own money and do something else with it. But they can't. 2. Participants would pay 1% of the first $1,400 of their annual income. Roosevelt himself shortly raised the rate to 3%. It's now 7.65% on the first $90,000, and Mr. Obama is talking about removing the cap entirely. 3. Money the participants put into the program is not tax deductible - in effect, you're paying a tax on a tax, even though the Supreme Court declared Social Security to be a tax and not something that you own or have any property rights in. 4. Participants' money would be put in an independent 'Trust Fund' which would fund only the Social Security Retirement Program. In accountant's terms, this promise was kept - there is an accounting ledger somewhere showing the billions and billions of assets in the "Social Security Trust Fund." Unfortunately, in violation of all laws and common-sense about long-term investments, the entire contents of the Trust Fund has been invested in US government bonds. In effect, the government took all the money and replaced it with IOUs. These IOUs have value only so long as the government is able and willing to pay them back, just like any other government debt. In other words, the government has spent all the money they were supposed to be saving for us. If a private insurance company committed that sort of fraud, there'd be orange jumpsuits all 'round. 5. Annuity payments would not be taxed as income, but today, up to 85% of Social Security payments can be taxed, and there's talk of taxing all of it. So you're being taxed on a tax that you were already taxed on twice before when you earned the money in the first place. ...involves the creation of a debt upon which future generations will have to pay large amounts annually... While the creation of this debt will impose a burden on future generations which we do not wish to minimize, we, nevertheless, deem it advisable that the Federal Government should not pay its share of the cost of old-age annuities (the unearned part of annuities to persons brought into the system at the outset) currently. Social Security was a lie and a Ponzi scheme from very the beginning. It's such a bad deal that the government has to force everyone into Social Security to keep the money flowing. Early retirers of my generation may get a few bucks from Social Security, but the next generation will get crumbs. In addition to criticizing pie crust promises, Mary Poppins said, "Anything can happen if you let it. Anything can happen if you just imagine. If you chase your dreams you won't regret it." It appears that Presidents prefer her advice about chasing dreams at our expense to her criticism of pie-crust promises. The problem with Presidential pie crust is that we taxpayers have to pay for the ingredients and the crumbs we're inevitably left with aren't worth the cost. History shows that Presidents aren't very good at keeping important promises, particularity when promises that fall in the future. There's no reason to believe that Mr. Obama's promises about government action to reduce our energy dependence by switching to wind and solar power will work out any better than Mr. Carter's promises about solar energy or Mr. Nixon's promises about cancer. Why, then, should we fund Mr. Obama's pie crust? He and his bureaucrats will get a lot of money to spend and we'll be left with the crumbs. Offers don't get much crummier than that. We Fought Cancer - And Cancer Won. 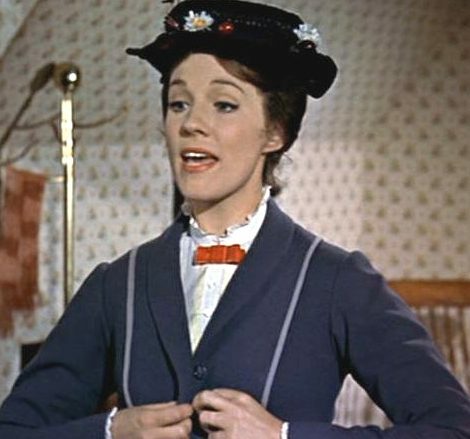 What is a famous Mary Poppins quote? "It's such a bad deal that the government has to force everyone into Social Security to keep the money flowing. " I have pondered since I was a child why my father was teaching me to become a work-a-holic at the same time our government seemed to promote a very irresponsible non-productive lifestyle. As a business owner, I am sick and tired of providing for those who actively choose not to be productive. A cure for cancer will never be found because the the "Cancer Cure" programs are no longer looking. It has turned into a self perpertuating buracracy. The is no incentive to find any cure. Tens of thousands of people would be out of work. Pity the fools promoting pie sales and 5K runs to find a cure.....just keeping useless people on a payroll. access to citizens' electronic records is a step backward, from a president who promised something very different. Getting official access to citizen's records makes it easier to put pressure on your enemies. Just ask Joe the Plumber - lost his job when his records were publicized after he criticized Obama. DEMOCRATS, Republicans chant, are irresponsible big spenders. But in the run-up to the mid-terms, the Democrats ought to have had one example of spending at its best: investment in infrastructure. When they passed the $787 billion stimulus bill in February 2009, they promised an historic investment in roads, bridges and rail. It would put Americans to work quickly and raise productivity in the long term, a Keynesian kick with benefits for years to come. But this ambitious plan has had middling results. Infrastructure is still in need of investment; unemployment in the construction sector was 17.2% in September. Barack Obama is touting a new $50 billion infrastructure proposal, but as the mid-terms loom, it is probably too late. The stimulus bill’s spending on infrastructure may have been doomed to mediocrity from the start. First, and most important, a relatively small share of the bill was actually devoted to infrastructure. Mr Obama called the bill “the largest new investment in our nation’s infrastructure since Eisenhower built an interstate highway system in the 1950s.” But even on the broadest definition of the term, infrastructure got $150 billion, under a fifth of the total. Just $64 billion, or 8% of the total, went to roads, public transport, rail, bridges, aviation and wastewater systems. Second, hopes for an immediate jolt of activity were misplaced. The bill prioritised “shovel-ready” plans. States did have a backlog of maintenance projects, such as repaving dilapidated roads. Nevertheless, work moved more slowly than some Democrats expected. By October 2009 even the fastest programmes—those under the highway and transit headings—had seen work begin on just $14.3 billion-worth of projects. Spending has since quickened. Of the money appropriated to transport, 83% has now been allocated. But it is unclear that the money spent has been money spent well. The attempt to begin work hastily meant that both good and bad projects have moved forward. Meanwhile the bill’s most notable project, high-speed passenger rail, threatens to become a debacle. It is fun to imagine trains whizzing across the heartland. But there is no urgent need for them. Freight companies worry that new passenger services will simply increase congestion. Any new rail service, meanwhile, is unlikely to be particularly fast. The Recovery Act dedicated $8 billion for high-speed trains, a sizeable sum but not enough for any train that is actually high-speed. Instead of being a selling point for Democrats, rail has become an easy target for Republicans. In Ohio, the Republican nominee for governor declares: “when I’m governor, the 39-mile-an-hour high-speed passenger train is dead.” Wisconsin’s Republican nominee even started a website, Notrain.com. Mr Obama’s new $50 billion infrastructure plan has promising elements, such as a proposal for a national infrastructure bank. But his push may be for naught: Americans have become allergic to spending. Politicians are unlikely to rise the gas (petrol) tax to pay for it. Janet Kavinoky, transport director for the Chamber of Commerce, is one of many advocates who want a long-term transport bill. The trouble is, she reckons, that most people think the stimulus bill took care of all that. @Landis - So what if Reagan slashed DOE research funding. They got it back later, and what have they accomplished? Zip. Nada. Zilch at great expense. Reagan should have driven a stake through its heart.